Wishing you and your family unbridled joy, good health and laughter ...every day, but especially on this beautiful Easter day! OMG that is the most adorable picture i've seen in forever...totally made me smile...TFS! If that isn't the most adorable little bunny I don't know what is. Can't help but smile! That is the cutest Easter Bunny EVER! What a cutie - that has gotta be the cutest photo. What an adorable little easter bunny!! She is cutest little thing ever. You just can't help but smile. 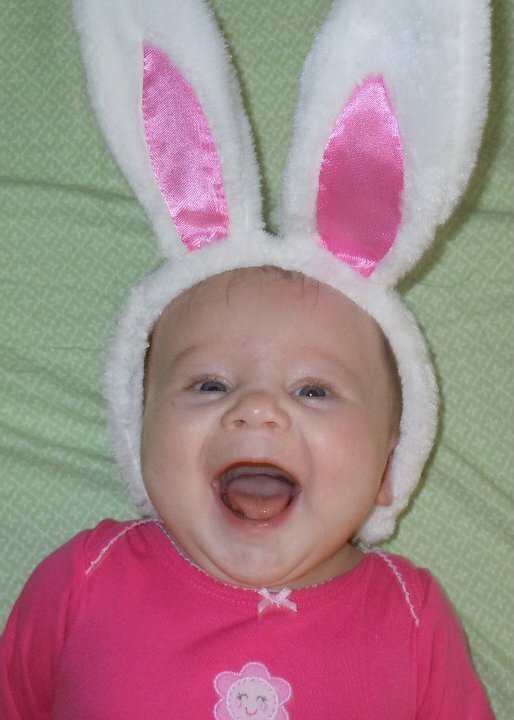 OMG, if she just isn't the most adorable little thing in her little bunny ears! And she's such a happy looking cutie!!! Love her big-big smile! Hope you and your sweet family had a wonderful and blessed Easter holiday also!